Today I start the last part of my Jadeathon showing you the gems from Jade that my wonderful dearest friend Priscilla sent me from Brazil. The last chapter of this trilogy will introduce three stunning effect Top Coats and frankly the best I ever tried. 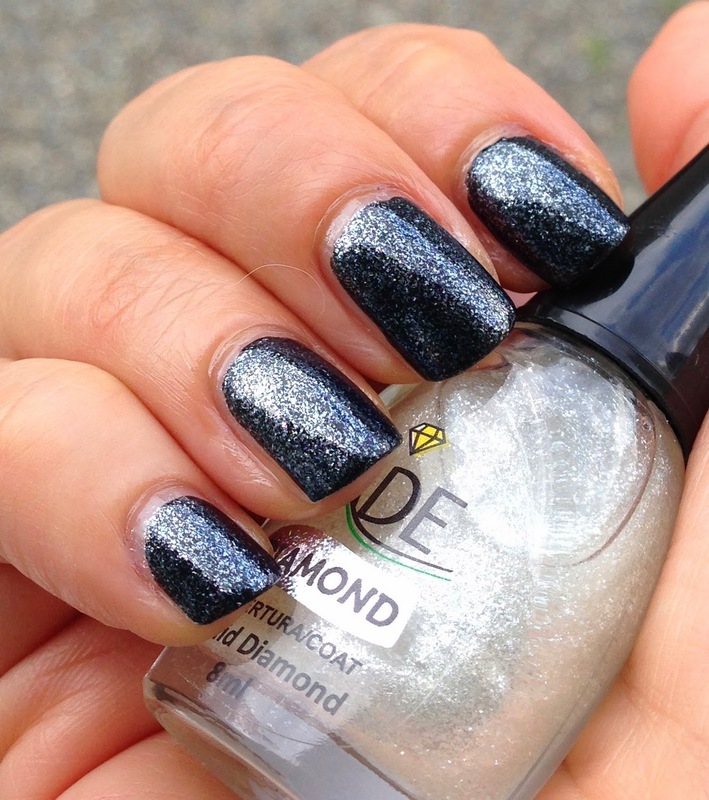 Jade Diamond Top Coat Liquid Diamond is a clear base filled with shiny whitish silver shimmer. 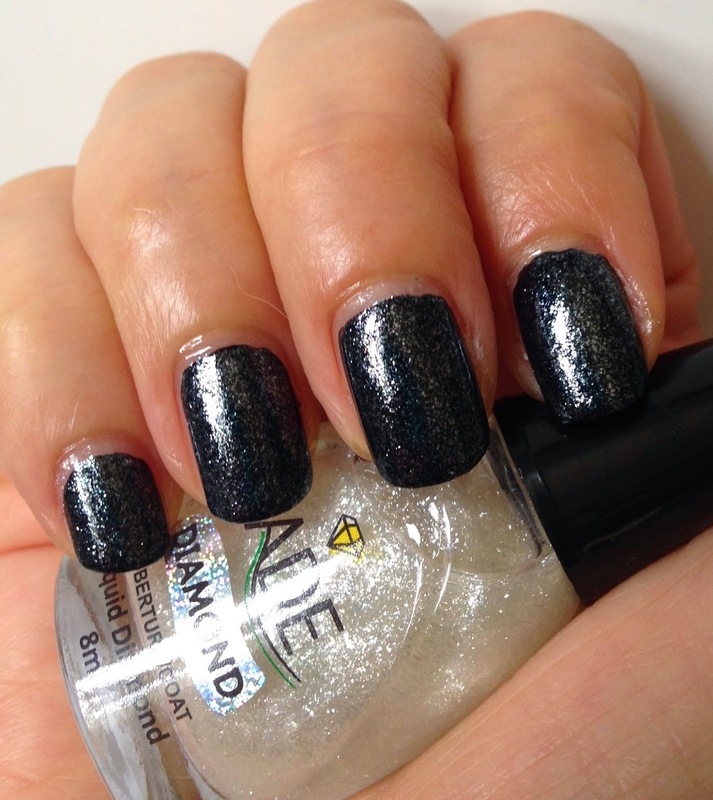 First I show you Liquid Diamond over black (I used A England Camelot). No to be honest, Cult Nails Tempest is a bit of a fail for this post, the white is so starch and blinding that the shimmer is totally lost over it in my pictures. However, IRL the shimmer was delicately visible. 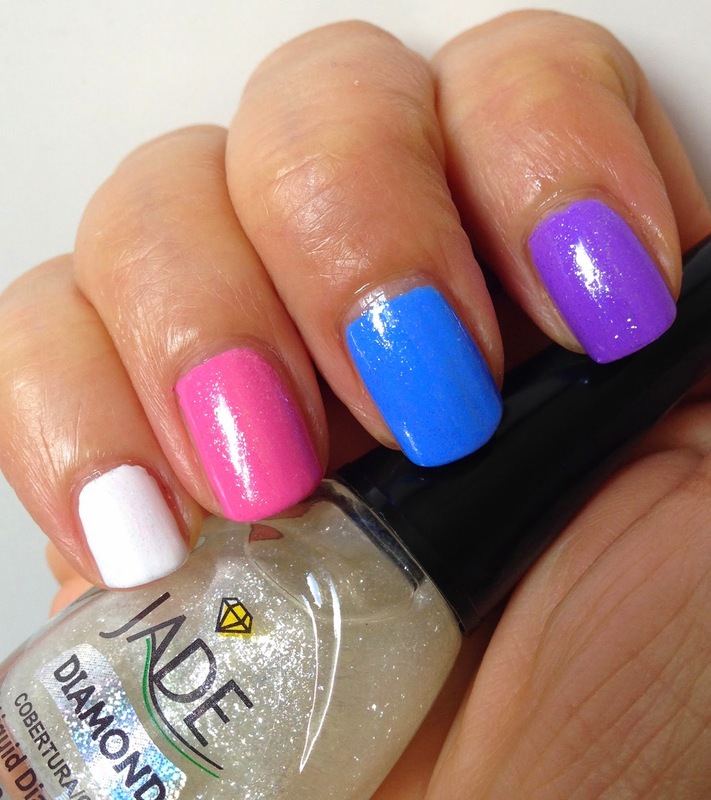 Final thoughts: I really like Jade Diamond Liquid Diamond over the alternating colors - now coming to think of it a green is missing in that bunch…. 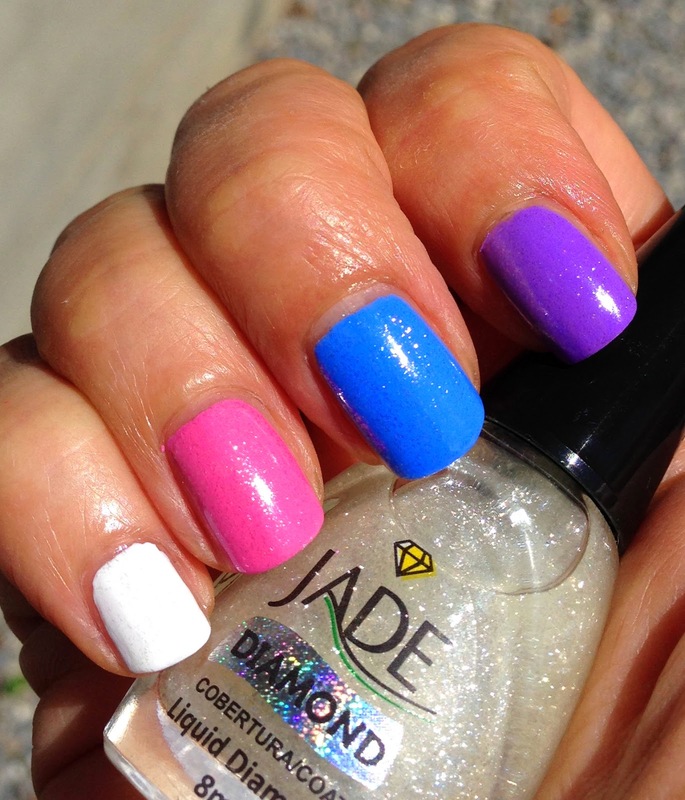 Well, another mani for another day then - LOL!! !